"A lonely teenager in rural northern Minnesota, Linda is desperate for connection and obsessed with both her enigmatic new neighbors and a classmate entangled in a scandalous relationship with a teacher. Narrating these seemingly disparate story threads is the adult Linda, who may have been villain, victim, or bystander in at least one tragedy. With lyrical prose and precise pacing, debut author Fridlund builds tension and weaves a complex, multilayered morality tale rich in metaphor and symbolism. This haunting, meticulously crafted novel will inspire lengthy rumination on topics ranging from the meaning of the title to the power of belief. Perfect for reading groups!" Independent booksellers have named History of Wolves: A Novel by Emily Fridlund (Atlantic Monthly Press) the number-one Indie Next List pick for January. 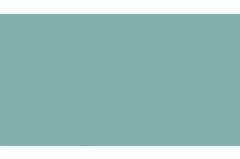 Fridlund's debut was also chosen by booksellers for the Winter/Spring 2017 Indies Introduce program, and it was featured as an Editors' Buzz Book at BookExpo America 2016. The first chapter of History of Wolves won the Southwest Review's McGinnis-Ritchie Award for Fiction Prize in 2013. 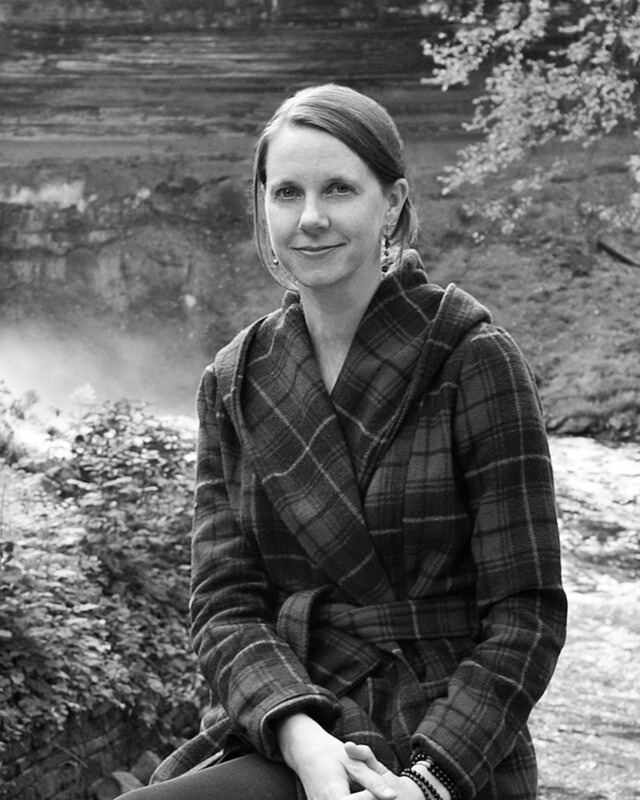 Fridlund, who holds an MFA from Washington University and a Ph.D. in literature and creative writing from the University of Southern California, has been published in the Boston Review, the New Orleans Review, and the Portland Review, among other publications. Her stories have twice been nominated for the Pushcart Prize, and in 2015 Catapult, a collection of her short stories to be published next year by Sarabande Books, won the Mary McCarthy Prize. 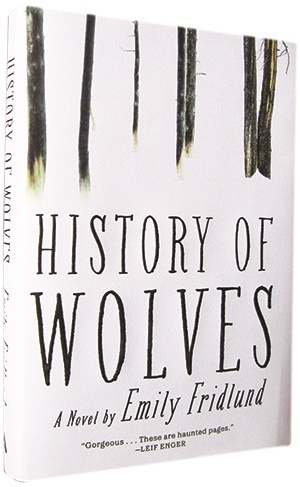 Here, Fridlund discusses the inspiration for History of Wolves and what it means to have the support of indie booksellers for her debut novel. History of Wolves began as a short story. Why did you decide to expand it into a novel? I initially wrote the first chapter as a short story that focused on Linda's experiences at school and her relationship to her new teacher, Mr. Grierson. I wanted to think about issues related to desire and gender and power, and in particular what would happen if a sexual "predator" is himself pursued by an observant and lonely teenage girl. When I finished that story, I thought I was done with Linda and her austere northern Minnesota landscape. But I found there was something about Linda's voice that stayed with me. Because of her age and inexperience, there is a certain distance between what the reader knows and what she does, a gap that creates tension in the narrative. At the same time, those very same qualities that make Linda naïve--her isolation, her loneliness and youth--also make her an incredibly acute and natural observer of the world around her. She's paying fierce attention. Because she takes in all the details, she is often very good at reading people, even as she struggles, in her inexperience, to make sense of events as they unfold. I found this peculiar combination of canniness, ferocity, and ignorance compelling. I realized that lingering in Linda's voice a little longer might allow me to explore other ideas that interested me related to perception, belief, and storytelling. The setting for History of Wolves--the bitter cold of northern Minnesota and the claustrophobic wilderness that Linda calls home--effectively becomes an additional character critical to the narrative. How did you prepare to write so extensively about Linda's world? From the beginning, I thought of Linda's emotional landscape and northern Minnesota as closely linked. The novel's setting is based on a region of Minnesota I visited around the time the initial story expanded into a novel--somewhere west of Duluth, north of Brainerd--but it is also an invented place, based on Linda's unusual way of seeing and being in the world. The setting of the novel was, perhaps first and foremost, a way for me to get at and reveal my characters, Linda in particular. In the earliest drafts, I drew freely from my own experiences. I was a kid who loved being outside, roaming the scrappy suburban woods in my backyard and camping with my family up north. I was also inspired by my reading, especially Minnesota nature writers like Sigurd Olson and Helen Hoover, and also Barry Lopez's marvelous work on wolves. In later drafts I did more specific research into details like species and tools, but in the beginning so much of capturing Linda's voice was about capturing how she felt living in her world. That meant thinking of the setting as atmosphere as much as a concrete place. As a main character, Linda is unusual: she is not particularly likable, she may be unreliable, her habits of watching people border on stalking, and she meticulously observes everything. How did you mold Linda as a character? As a girl child raised at the end of the 20th century in the Midwest, I was trained to think a lot about likability, I admit. But as a reader and a writer it is not something that I think about much at all. I go to fiction for characters that are interesting, that make me think and feel in ways I haven't thought and felt before. I knew I could expand the short story that began History of Wolves when I realized that I found Linda's mode of being in the world interesting enough to engage me for the time it would take to write a book. One of the things that intrigued me most about Linda was her particular combination of canniness and innocence, which makes her powerful in some ways and helpless in others. She sees some things that the novel's other characters fail to take in, and at the same time her inexperience and isolation make her blind to certain patterns that might otherwise seem obvious. I was also drawn to Linda as a narrator because, unlike me, she lives a very physically demanding life. She spends her days chopping wood and fishing and keeping the fire going at night, and because of this, she is a person who experiences the world through her body rather than through talk or conversation. It was a challenge for me as a writer to situate her emotional responses within physical sensations, to let the reader see how she feels through her interactions with her dogs and the woods. It is maybe this aspect of Linda's character that makes the world around her seem a little charged. Family is a murky theme in History of Wolves, and Linda exhibits an urgent sense of needing to belong. When she becomes the governess for the Gardner family, she nearly achieves that, but she's still stuck on the periphery. Why is the feeling of belonging so important to Linda? Just before I wrote this novel I spent time reading some of the old great Gothic governess stories, books like Charlotte Brontë's Jane Eyre and Henry James' The Turn of the Screw. What I love about these books is the curiously peripheral-yet-essential role the governess plays in family structures. Because of this littoral zone the governess occupies, these books are especially good at teasing out issues related to power and powerlessness, or to maintaining the status quo and rebelling against it. The contemporary equivalent of the governess is the babysitter, of course, and Linda's role as babysitter to Paul in History of Wolves grants her privileged access to a family structure that she has been--because of her parents' commune past--denied. She wants what the people who raised her have eschewed: a fixed and reliable family. But her sense of belonging as a babysitter in the Gardner family is extremely fragile and temporary, and it comes with little reward and at a high price. It's worth saying, too, that I don't think of this predicament as especially unique to Linda. Don't most of us ache to belong somewhere? Part of what I wanted to explore in this book is how this desire makes us all capable of being complicit, of preserving the status quo as long as possible, especially when our little measures of short-term comfort and happiness are at stake. History of Wolves delves into the power of perception, the power of faith, and the power--or powerlessness--of hindsight within a complex and tense narrative. What inspired the idea for History of Wolves? I've always been intrigued by the way perception shapes the stories we tell and the realities we act upon. In History of Wolves, I grew interested in setting the story of Linda's history teacher, Mr. Grierson, next to the story of the Gardner family in order to think through the relationship of thought to action, and witness to responsibility. What seems to "count"--what we see, what we do, or what we think--shifts in different contexts, and I wanted to think through the complex and sometimes contradictory ways we hold people responsible for these various levels of involvement in events as they unfold. I have also always been fascinated by the way time affects stories as they are told. 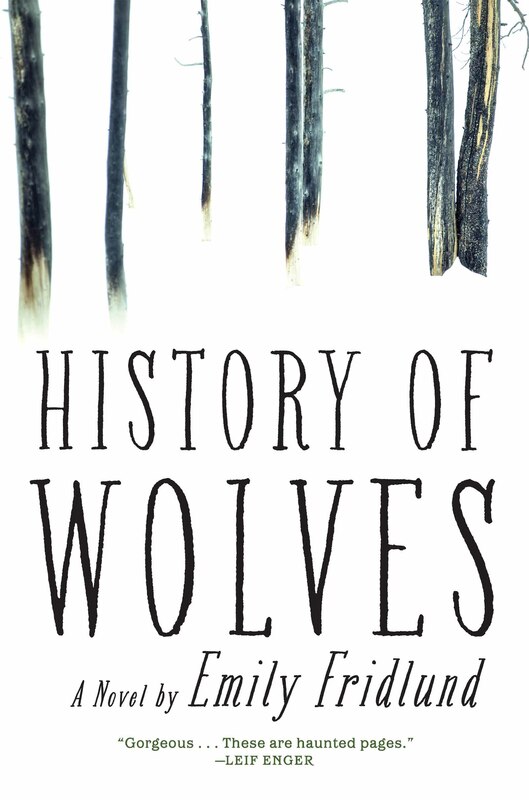 History of Wolves is a coming-of-age story told in retrospect: the first half of the book is a little closer to Linda as a teenager, while the second section pans out more, aligning the reader more closely with Linda as an adult. Through this structure, I hoped that the reader might experience something of the way hindsight reorders and reinterprets what we see, changing how events add up and ultimately what they mean. How does it feel to have such strong support for your debut from independent booksellers? 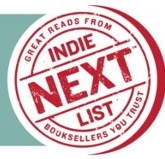 What can indie booksellers expect from you next? "When Major Gryffth Hockaday returns home after years fighting in the Civil War, he discovers that his wife had given birth to a child who later died, both events occurring under mysterious circumstances. Knowing he cannot be the father of the child, he has murder charges brought against his wife. The trial and the story of what happened unfold through letters and diary entries written by Placidia Hockaday and other family members, culminating in a shocking truth. Inspired by actual events, the characters and story that Rivers has created are truly memorable and The Second Mrs. Hockaday is a unique and fascinating read." "The Bear and the Nightingale is an enchanting mix of fairy tale, fantasy, and historical fiction set in medieval Russia. Nestled between the northern wilderness and civilization is a village where old and new traditions live side by side. Vasya, the last daughter of Pyotr and Marina, is born on the howling winds of autumn. Different from the others in her village, she is destined to be like her grandmother and is gifted with powers by birthright. As time goes by, Vasya is tested. Caught in the conflict between the old spirits and the new religion, Vasya must do everything in her power to save her family and village. Arden's novel is the rich, mesmerizing fairy tale you've been waiting for!" "This story of a small town and the secrets it has been protecting for decades is fast-paced and never predictable. In a remote section of rural Australia during an extended drought, devastating weather conditions collide with an unexpected turn of events that ultimately results in the murder of a young family. Bearing the scars of the town's past, Aaron Falk returns home for the funeral and is forced to make a choice between saving himself and facing a secret he has been hiding from for 20 years. This is an amazing debut that I could not put down!" "Soli is an 18-year-old Mexican girl who enters the U.S. illegally and gives birth to a baby boy. Rashi and Kavya Reddy are an Indian-American couple in Berkeley who have unsuccessfully tried to have children. Their stories intersect when Soli is arrested and her baby is taken from her by Child Protective Services and given into foster care with the Reddys, who become attached to baby Ignacio and want to adopt him. Sekaran does a good job describing the trials and tribulations of illegal immigrants, and Soli's hope of regaining custody rings true. A compelling read that examines very topical parental rights and immigration issues." "A 'difficult woman' has become shorthand for one who speaks her mind, who questions patriarchal power, and who refuses to be defined by a standard of femininity. The women who populate Gay's story collection are all difficult in their own ways--mothers, sisters, lovers, some married and some single, most of flesh and one of glass--yet they are all searching for understanding, for identity, and for ways to make sense of a sometimes nonsensical, cruel world. Some of Gay's stories are graphic, some are allegorical, and all are important commentaries on what being female looks and feels like in modern America." "Anyone can recommend a book, but it's rare that someone can fully articulate its lifelong impact. Schwalbe has the rarest of voices -- both intimate and universal -- and with deep care and reflection he offers readers the most personal and heartfelt parts of himself in his latest collection. This is not a list of Schwalbe's favorite books, but is instead an explanation of how certain books and authors taught him timeless lessons about our deepest longings. Schwalbe's voice leaps off the page and fills the room as only the liveliest conversations can. I can't stop thinking about this book and want to read every title mentioned, if only to keep the conversation going." "This is the perfect dead-of-winter read! Ryan DeMarco is shocked to learn that his friend Thomas Huston, an internationally bestselling author, has disappeared into the woods, leaving his slaughtered family behind in their once-serene home. How could a man who has it all--perfect career, perfect wife, perfect kids--become such a monster? This is the question DeMarco sets out to answer, all while on a wild chase to track down Huston before he freezes to death in the harsh northern Pennsylvania winter." "If only we had had the wisdom back in high school, to see behind the facades of the kids who intimidated us, fascinated us, irritated us, and disgusted us--and to understand how the ways we collided with each other and with life would play out for us. Johnson's literary superpower is to plunge us into such a school and make us feel it all again as if we are there--only this time with all of the wisdom we lacked previously." "In 1965, Ruth Malone, recently separated from her husband, wakes to find her children gone. Both are found dead and Ruth finds herself the prime suspect, tried and convicted by the court of public opinion because she is a single parent and rumors abound about her drinking and dating habits. Flint has created a compelling whodunit based on true events, and I was riveted from page one. This is a literary thriller that will have you parked in your reading chair until you turn the last page!" "This multigenerational story is a road-trip novel, an ecological disaster drama, and a harrowing post-Iraq War PTSD portrait all rolled into one highly readable, gorgeously written book. Raymond tells this story peering over the shoulders of three strong characters, each of whom have to reconcile feelings of love--both romantic and familial--with the brutal realities of life during wartime. Despite its dark turns, Freebird is a book filled with hope for its characters as well as love for the real world it ably attempts to recreate and offer respite from." "Burning Bright solidifies Petrie's place among the best thriller writers working today. His hero, Peter Ash, wanders from town to town, living outdoors because his PTSD will not allow him to remain inside walls for very long. When he discovers a woman on the run from shadowy killers, Ash knows he must help her in spite of his near-crippling claustrophobia. Petrie gives us characters we love, warts and all, and there is a true sense of forward propulsion to his action-packed tale. Peter Ash is a hero for today and Burning Bright puts Petrie in the company of Lee Child and Robert Ludlum." "Dan Chase is a wealthy old man living a quiet life after the death of his wife and his daughter's move to another part of the country. But wait--he is being followed, and then his house is broken into and he has to kill the intruder. Next, the old man turns to his 'go' bag as it seems he has many identities, stashes of currency, and a plan to disappear. There are secrets to be discovered all throughout this tale and Perry keeps readers wondering what will come next. This is definitely one of Perry's best!" "Leopard at the Door is a beautifully layered coming-of-age novel set in a Kenya still under the yoke of colonial British rule. Rachel, whose beloved mother died when she was 12, returns to the country she loves after six years in England. She struggles against the expectations of her father and his new partner, Susan, whom Rachel has a difficult time accepting. Fine writing weaves Rachel's story with the essence of Kenya, the treatment of its people, and the uprising of the Mau Mau who seek independence. This is a thrillingly taut novel--with a clever title, too!" "The journey of middle-aged swindler Billy and his young, idealistic partner Charles is a journey into the history and heart of the oft-maligned American dream. As the nation considers whether it will join World War I, Billy and Charles must weigh the merits of freedom against patriotic obligation, their life on the road against the temptation of putting down roots, and their diverging desires against the love and loyalty they bear for each other. As Billy says, 'I reckon that's the beauty and the shame of it, all at once.' Peelle's exploration of this beauty and shame is exquisitely wrought, richly populated, and ultimately devastating. I finished the novel in tears." "This old-fashioned crime novel considers the miraculous survival of a three-month-old infant girl in an airplane crash in which all perished—including a second three-month-old baby. An 18-year struggle is unleashed between two rival sets of grandparents on opposite ends of the economic scale, one of which is accorded custody of the child. Does she really belong to that family? Is her brother really her brother? As the age of majority of the survivor approaches, the questions become more urgent and the private detective who has been on the case for 18 years tries to bring some closure." "This is the compelling story of a damaged young woman, Nadia, who has taken refuge in a cabin in the Alaskan woods for the last 10 years after escaping an abusive marriage. Kachemak Winkel, the cabin's owner, returns to Alaska after a long absence, still mourning for his parents and older brother who lost their lives in a plane crash 20 years earlier. Two young, damaged souls are at the heart of this beautifully written novel, and the wild and dangerous beauty of Alaska is present throughout. Perfect for book groups!" "Open the pages of A Certain Age and be drawn into Williams' rich, atmospheric world of Manhattan in the 1920s--a world where society pages hint at gossip, speakeasies tease with gin, and secrets and hidden desires lie just below the polished veneer of the fashionably dressed and well-bred families of the city. This deft retelling of Richard Strauss' comic opera Der Rosenkavalier is simply exquisite." "This is the story of three women slowly losing themselves until they are reunited in Scoops, Michigan, at the beginning of summer: Arden, working at a job that gives her nothing but a paycheck; Lauren, becoming sadder as she moves farther from doing what she loves most; and Lolly, gradually forgetting all the things in her life that brought her joy and happiness. Linked together like the charms on their wrists, Arden, Lauren, and Lolly will remind each other of times gone by, how to appreciate the present, and how to embrace whatever the future brings. Reading this sweet story reminded me how lucky we are if we are close to those who share our history." "Tragically disfigured and reclusive, Morgan lives in a secluded country estate with only his housekeeper, Engel, to keep him company--until the children start to arrive. The first, an infant named Moira, is left in a basket on the doorstep; others soon follow--including the oddly precocious David--the eldest at five years old. But what does the children's enigmatic presence portend for Morgan and the world in which he lives? Through lyrical prose, Lambert creates an absorbing and dream-like narrative that recalls both the pastoral gothic of Shirley Jackson and the dystopic vision of John Wyndham." "Four young black men, following orders, leave their tightly bound South Central Los Angeles community, and drive across the country to perform a hit to prevent a witness from testifying against their boss. They are ghetto born, raised, and trained, so they have outlaw skills and the resulting respect in their community. In wide-open America, they are profoundly out of their comfort zone. What each young man does with his skills, wits, sense of duty, and--for one in particular--a dawning sense of what the future holds for such a lifestyle, forms the core of this powerful novel. Provocative, gripping, and timely, Dodgers is a riveting read that leaves a lasting impression." "Fallen Land by debut novelist Brown is like a blend of Charles Frazier's Cold Mountain and Cormac McCarthy's The Road. In the setting of the southern Appalachians and crossing Georgia during Sherman's March to the Sea, Brown shares the beautifully written story of Callum, a young Irish immigrant, and Ava, the orphan daughter of a Carolina doctor who perished in the war. Together they stay one step ahead of a loosely formed band of vicious bounty hunters at the trailing end of Sherman's scorching destruction of the South. Determination, survival, and love all combine to form a thrilling and romantic story set during the final days of the Civil War." "A pandemic called Dragonscale has infected civilization and threatens to end it. The contagion spreads quickly and people are spontaneously combusting. Harper Grayson is a nurse struggling to save those who are infected. When she contracts Dragonscale, Harper is rescued by an enigmatic man known only as The Fireman, who takes her to a camp populated by those who have learned to control their disease. Longtime fans of Hill and his father, Stephen King, will enjoy the homage to King's masterpiece The Stand, while new readers will appreciate Hill's work on its own merit." A beautiful afternoon on Mothering Sunday--now known as Mother's Day--in 1924 provides the backdrop for this exquisite tale of love, longing, and memory. Jane Fairchild, a housemaid, has been the longtime lover of the heir-apparent of the estate next door. Their final cataclysmic afternoon together will alter the course of her destiny in ways that she never contemplated. Told in flashbacks by the nonagenarian Jane, this rare gem of a novella will haunt readers long after they turn the final pages. Superb!" "This story of an engaged couple trying to navigate crazy family dynamics, betrayal, and professional dilemmas on their way to getting married is one of the funniest, most unique novels I've ever read. If you simply list the story's elements--a hippy commune, a combat field-medicine controversy, screaming snails, a devious pharmaceutical exec, a long-dead social theorist, the world's greatest hypochondriac, and a main character who believes a squirrel is following her around California trying to tell her something--you would think that there is just no way it could all come together, but it absolutely does, and ingeniously so. A terrific book!" "The Railwayman's Wife is a remarkable story drenched by the wells of sadness, yet it leaves readers marveling at the beauty of it all. Annika Lachlan is grieving her beloved husband and attempting to find solace in books. But the town of Thirroul, Australia, is home to more than one person damaged by grief. Brought together as members of a club no one would choose to join, each begins to move towards healing. The Railwayman's Wife immerses the reader in Ani's life, and as one savors the novel's heartbreaking prose, a world is revealed in which hope and grief are forever intertwined and love may be the strongest current of all." "Full of twists and turns, secrets and lies, and enough misdirection to keep you guessing, Pavone's third novel delivers everything readers have come to expect from his thrillers. As in his previous work, the world of publishing takes a central role: This time it's a fading travel magazine and its companion travel agencies in the midst of an acquisition. Will and Chloe are a young married couple dealing with a home in need of extensive repairs so Chloe decides to take a less active role at Travelers magazine after Will is brought on board as the European correspondent. When Will meets an alluring woman while on assignment, she will change his life in ways he never could have foreseen."